I wanted to use fabrics that I’d dyed myself so I chose several indigo pieces that had a variety of line patterns. 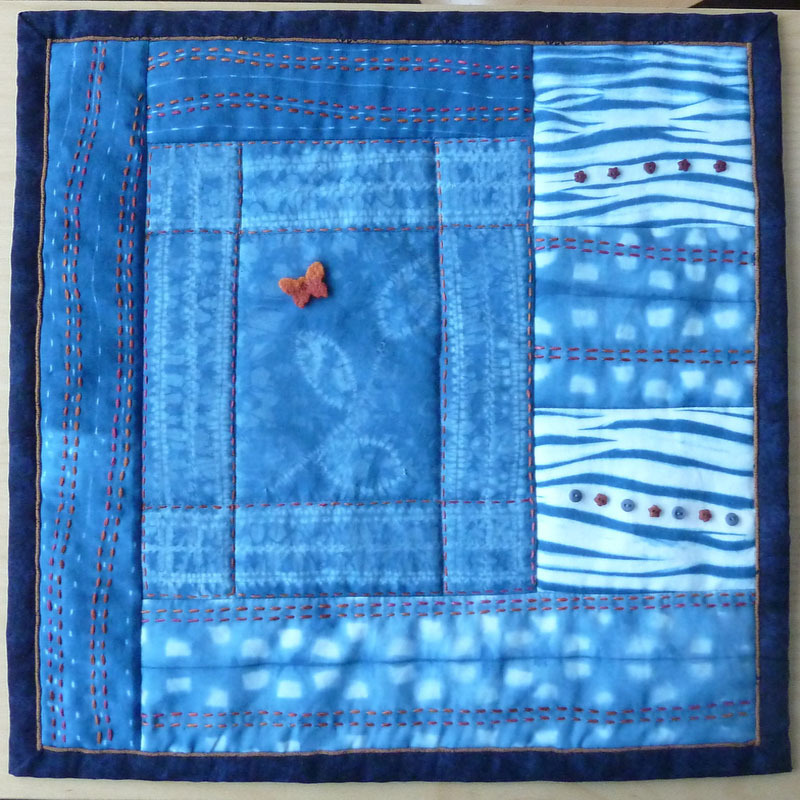 The basis of the quilt is a simple set of pieced rectangles which I then stitched into using rusty / copper colours that I thought looked good with the indigo blue. I wanted to do hand work and sashiko-style stitching was the obvious choice to complement the indigo. The buttons bring another shape to the design and I just couldn’t resist adding the little felt butterfly.